At the beginning of March I jumped on the train down to Brighton for my best friends hen do. It had been months of planning and researching all coming down to this one weekend. I was excited and nervous hoping that everything I had planned would suit all 11 of the girls. I hadn’t even met half of them so the planning was less than straight forward, especially as we all had different budgets. The worry was for nothing however as the bride and all the girls had a fantastic weekend. 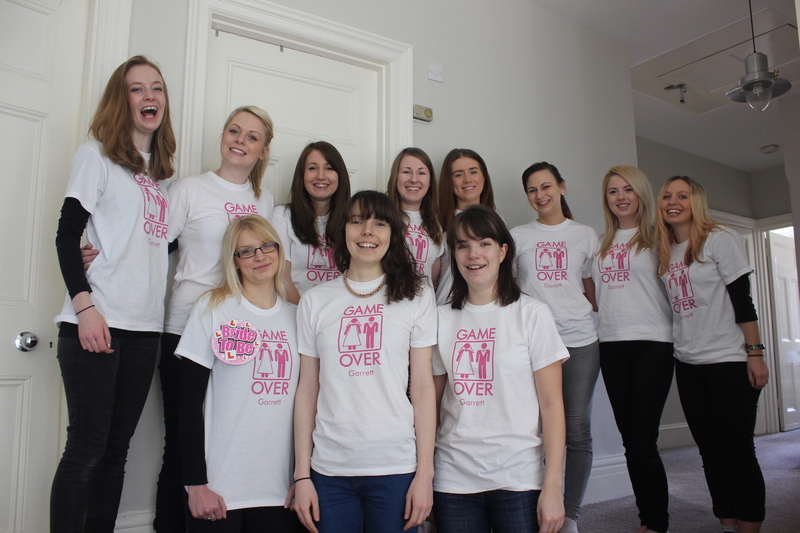 Here is how to make a hen weekend awesome. Staying in a hotel can be lovely and have that little bit of luxury that your hen party want. However, the likelihood is you’ll be split across different rooms and won’t spend much time hanging out as a group. This is why you should book a big house for you all to stay in, this way you have plenty of communal space to chill out and get to know each other. It can also help bring food costs down for the weekend and will be no more expensive than a decent hotel. We stayed at a property called Brighton Rocks, I booked this through TripAdvisor (the listing has currently been removed thought). You can also look at holiday lets and Airbnb for properties, just make sure you read the reviews and small print to make sure the house is suitable for a hen party. Another great way to make the group feel part of something is to get t.shirts printed for everyone. For our t.shirts we opted for a front design and then our names on the back but you could just go for a simple design on the front. Another fun thing to do, would be having a nickname on the back for everyone instead of just their name. I knew the bride wanted to go clubbing for at least one of the nights and I wanted to make sure it was a night she would remember. There are various options for making the night awesome but for our weekend, I chose a VIP celebrations package at Pryzm nightclub. Our package included Qjump entry, a booth for all 11 of us, 2 bottles of prosecco, a bottle of vodka, mixers and a glass each of fizz on arrival. The package worked out to be good value for money and made a normal club night and little more memorable. When I first started planning the night there were 15 of us, after I had given everyone the price four people dropped out. Had we of set a budget for everyone to begin with no one would have had to drop out. Setting a budget really helps to make it affordable for everyone – people can always do optional extras on top. When planning I made the fatal mistake of asking others for their ideas, when what I really wanted was for them to pick from the ideas I had already researched and suggested. It is nice to include everyone in the planning but when you are organising something for 10+ people than gets tricky. If no one wants to plan it by themselves maybe have a few of you who can do it and make the decisions. We also kept all of the planning except the location secret from the bride-to-be until the day. By ‘tack’ I mean ‘L’ plates, willies, a veil, rings and decorations. We designated a few girls to hit the shops and buy everything they could find for the hen party. When booking a hen do it is hard to know how much to book. I wanted to make sure we wouldn’t get bored but I also didn’t want us to be tied down to too much. In the end booking something for one of the evenings and providing ideas for the rest of the time worked out well. If you choose to stay in a house I would recommend doing this unless anyone lives locally to your destination. No one travelled to Brighton by car and I had no idea how close the nearest supermarket would be. By having it delivered to us meant we didn’t need to find time to buy food for the weekend as well. Just be careful on how much you order – we had far too much food! If you are travelling to a destination and have a group of girls who barely know each other I would certainly suggest this. We were able to spend the first night out for dinner and bonding before going all out on the second night. It was just the perfect amount of time to make it feel like you had made a ‘proper’ weekend of it. When in Brighton you have to visit the pier, there is so much to do, be it rides or the arcade. We did both and to make it worth our money bought an unlimited pass for the rides. This enabled us to go on things as much as we wanted without spending a fortune. By going all out on the pier we easily wasted half the day. 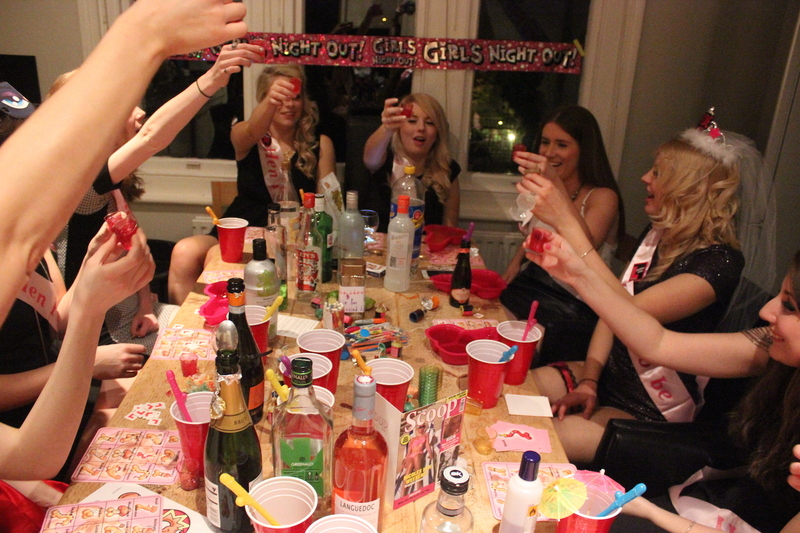 If you are planing a hen party I hope you find these tips helpful. Have you also planned a hen party recently? Would you add anything?